Time for me to start, too. I am just going to vomit my life out onto the web. My hopes, dreams, observations, misspellings, ideas and everything. I love to watch disney channel. just thought I would mention that since it is on. Today i spent all day drawing a jet engine. The plans I got off eBay were lame, so I am having to fix them to be sure what's real. I also have decided to build a cri-cri. (see the cri-cri page) The first thing to do is to start doing anything; that way the ball will get rolling and gain momentum. So I have taken the plunge and will document my life. I did not mow the lawn today. It was a beautiful day outside. I also did not take a shower. 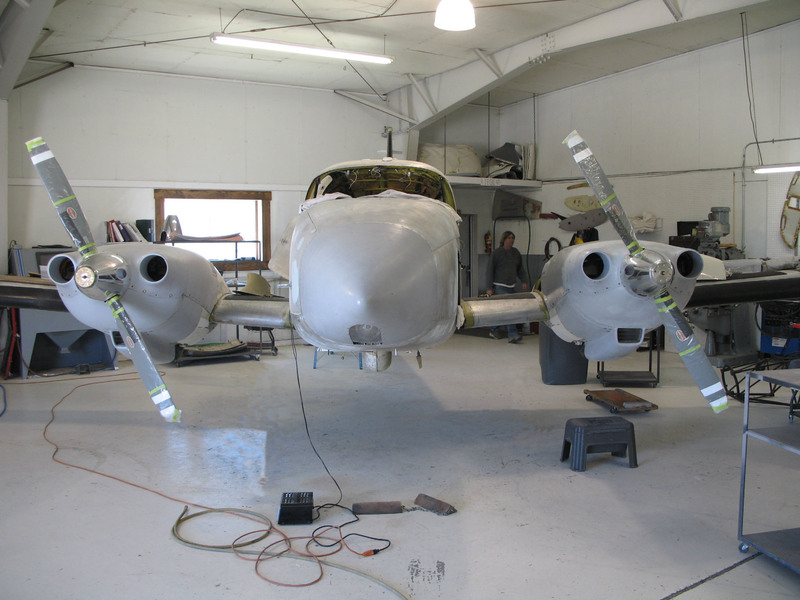 This is a Piper Aztec we are working on and updating for a customer. As you can see, we have installed the new lift system..